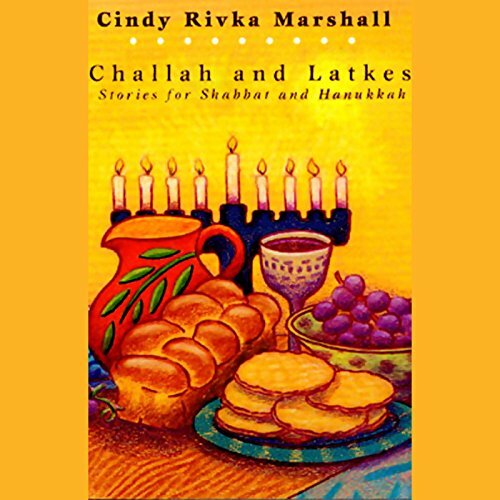 Cindy Rivka Marshall's eagerly awaited first recording celebrates Jewish rituals, miracles, and delicacies. During Shabbat, freshly baked challah provides sweet accompaniment to tales of faith. And at Hanukkah, crisp fried latkes remind us of the oil that gave Jews light and hope many centuries ago. Includes "Hannah the Joyful", "The Taste of Shabbat", "Gift of Challah", "The Latke Miracle", and more. These enchanting folktales contain the nourishing ingredients for food for the soul: captivating voices, infectious songs, strong characters, all laced with a wonderful sense of humor and awe.